Chocolate. Red Wine. A Divine Combination. Chocolate is divine. It is luxurious. It is decadent. It has been special since it was discovered, and with good reason. Sweet and smooth, dark and creamy, rich and bittersweet…there is really nothing else like it. We drink it. We melt it. We eat it any way we can. Celebrate Valentine's Day with Red Wine and Chocolate. Although today chocolate is relatively affordable, it was once quite a luxury. Even these days, chocolate of extraordinarily good quality comes with a price. A gift of fine chocolate is meaningful; that’s why we give it to the people we love. But don’t just give a box of chocolates to your Valentine this year. Step out of the box. Give an experience. 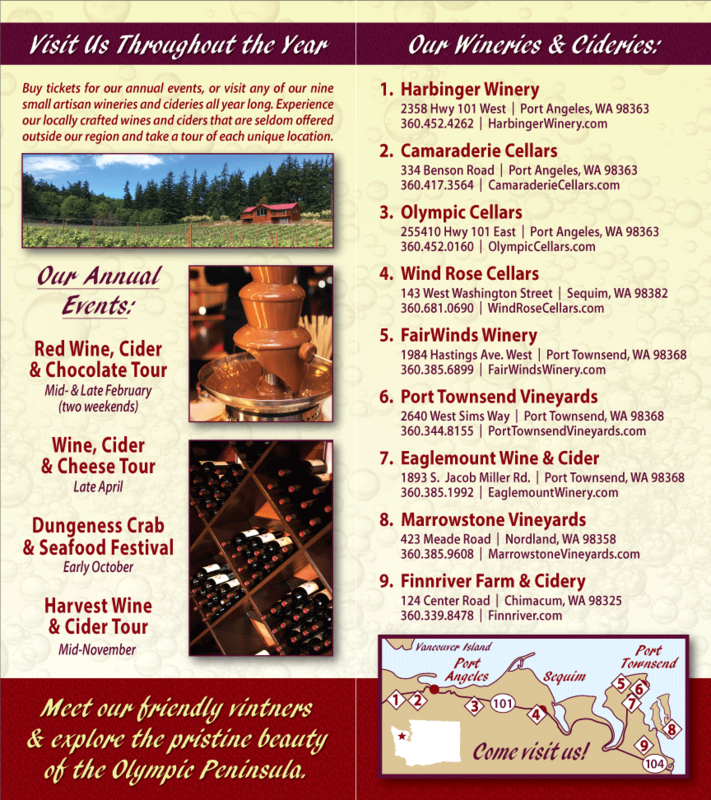 Bring your sweetie to the Red Wine & Chocolate Tour at Olympic Peninsula Wineries. Discover enchanting combinations of red wine and chocolate. There will be deep Cabernets, rich Merlots, and flavorful Syrahs. There will be hand crafted, locally made chocolates. They will be paired by experts who recognize that both grapes and cocoa beans are effected by the climate and geography of the regions that produce them. Pairing wine and chocolate has got to be one of the most delightful sciences there is. Taste for yourself. Join us Olympic Peninsula Wineries for two weekends of Red Wine and Chocolate. The Red Wine & Chocolate Tour runs February 11-12 and February 18-20, from 11 a.m. to 5 p.m. Additional details are available on our Events page.